The ENDEAVOUR 32 was the first boat from Endeavour and was actually the same basic hull as the earlier IRWIN 32 with modifications by Dennis Robbins, in-house designer for Endeavour at this time. Other changes to the design (by Bob Johnson?) were made in 1980. 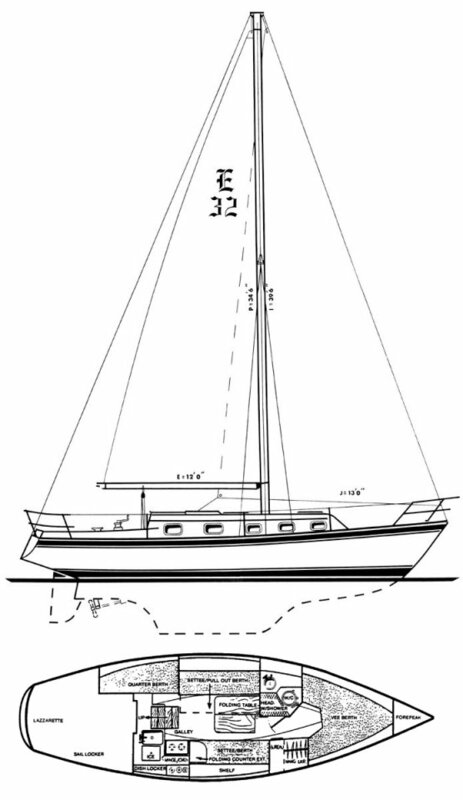 Earlier ENDEAVOUR 32's could be purchased with a fin keel or keel-centerboard (like the IRWIN). By 1979, both the deep fin keel and keel-centerboard versions had been dropped in favor of a shallower draft, fixed keel model. Shown here is the later version. See ENDEAVOUR 32 CB for more details.